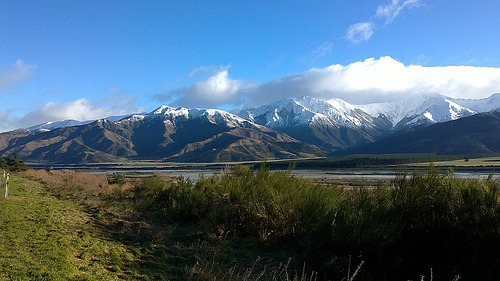 Today we’re driving Nelson to Christchurch Inland Route on a glorious Autumn morning. 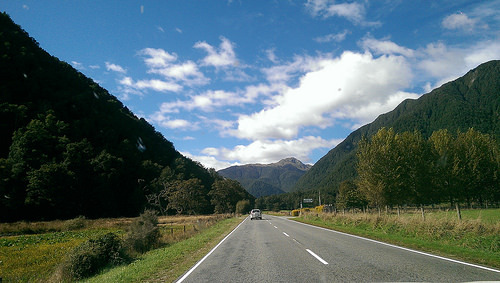 The Coastal Route may have better cafe options, but the inland route scenery is breathtaking and less travelled. For me, Springs Junction is merely a petrol and toilet stop but if you’re desperately hungry, there is a ‘tearoom’. You might want to travel a bit further to the cafe at Maruia Springs. 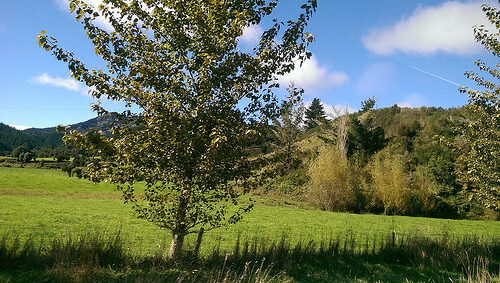 There is accommodation at Maruia Springs which has recently changed ownership and undergone refurbishment. 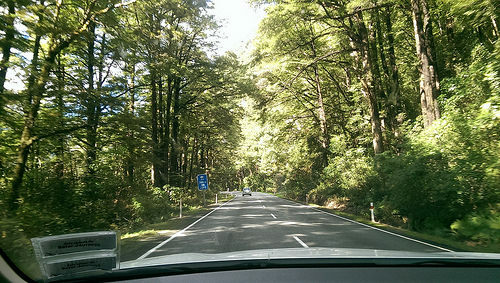 Leaving the wide open spaces, we enter into a beautiful forest. 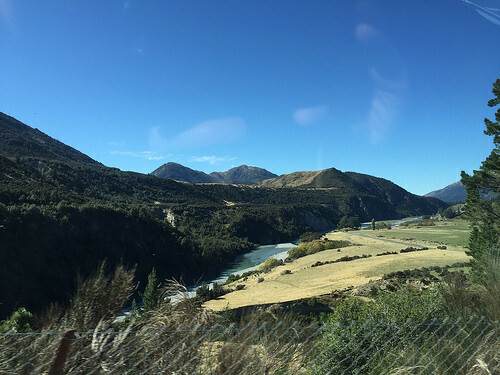 This is the point where Michael becomes the passenger and I take over the driving (except that he never stops being the driver) I like the photo he took showing the milky green of the Maruia River. Driving into the flatness of the Canterbury Plains, we head into the beautiful wine country of Waipara for lunch at the Nor’Wester Cafe at Amberley (a great choice with friendly staff and quality food). The Canterbury Plains are New Zealand’s largest area of flat land, with straight roads cutting across a patchwork of paddocks. Tonight we’re staying at the Hotel Montreal in Christchurch. 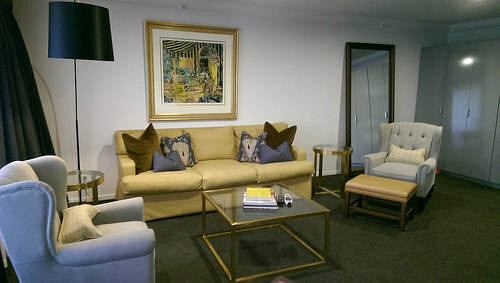 Beautiful spacious Junior Suite and friendly, helpful housekeeping staff. Tomorrow marks the official commencement of a very significant birthday for moi! Queenstown here we come. Let the celebrations begin!